On my way to ITALY for some "dolce vita"
48 hours isn’t much. 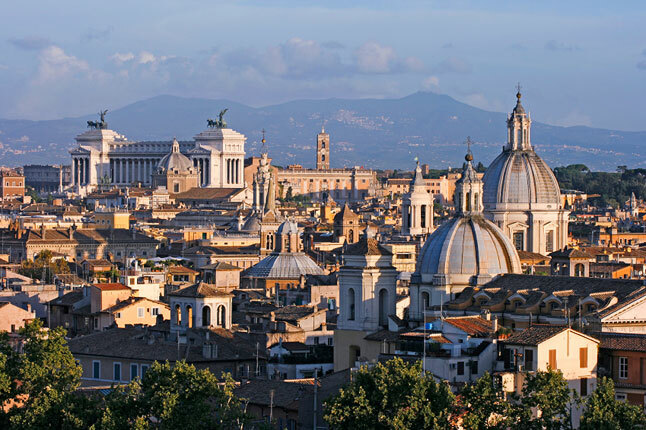 In fact, two weeks in Rome, the Eternal City that was once the center of the universe, is not enough time to discover Rome’s treasures and its romance. But the typical sightseer will want to check off the sights that are often discussed back home. 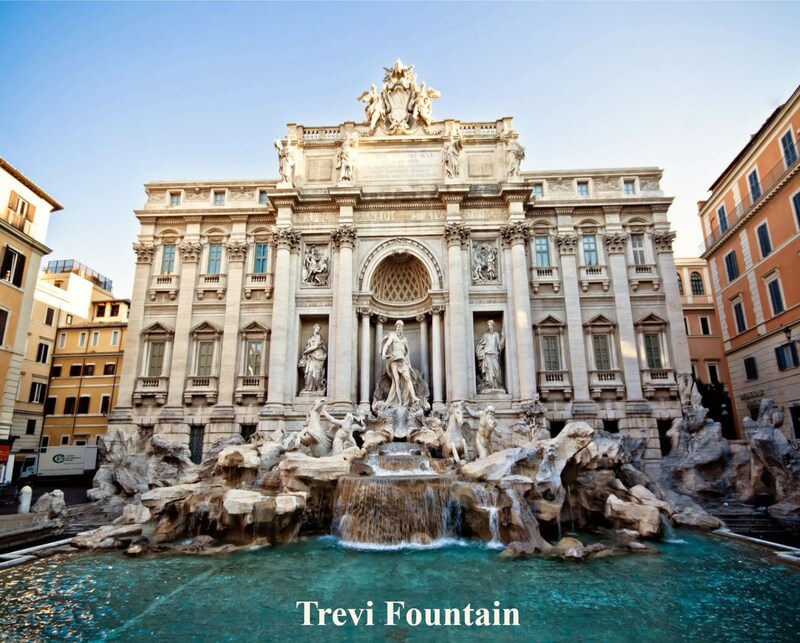 They include the Vatican, the Colosseum, the ancient Roman forums, the Trevi Fountain, the Pantheon and the Spanish Steps. It can be done in two days even with time for a gelato and a wonderful dinner in a family trattoria, and can be done at a relaxed pace if one bundles the sights according to geography and divides the days in half-day units, devoting two of those units to the Vatican. DAY 1: Spend a full day at the Vatican. Don’t rush here; appreciate the art and history at the center of Christianity. As you approach the Tiber River, take the time to admire the Castel Sant’Angelo on the right and the Ponte Sant’Angelo, the bridge lined with statues of angels that Bernini carved or inspired. 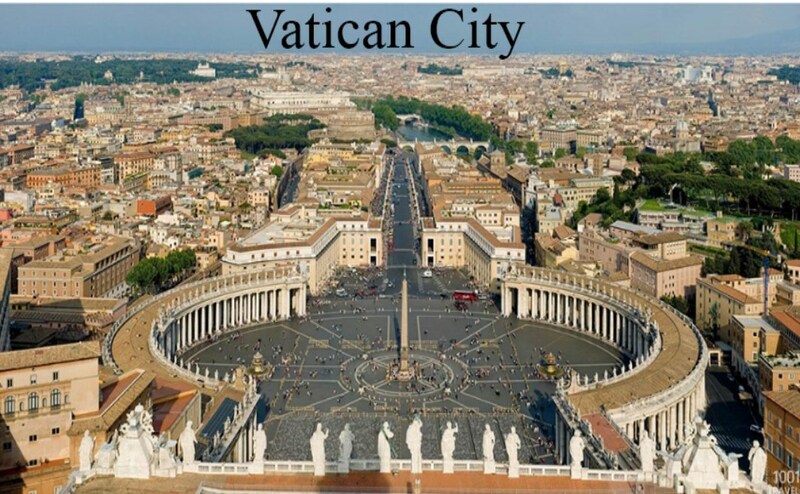 Vatican City (an independent country) lies a short walk beyond the river. You’ll pass through Bernini’s Colonnades and enter the enormous St. Peter’s Square. 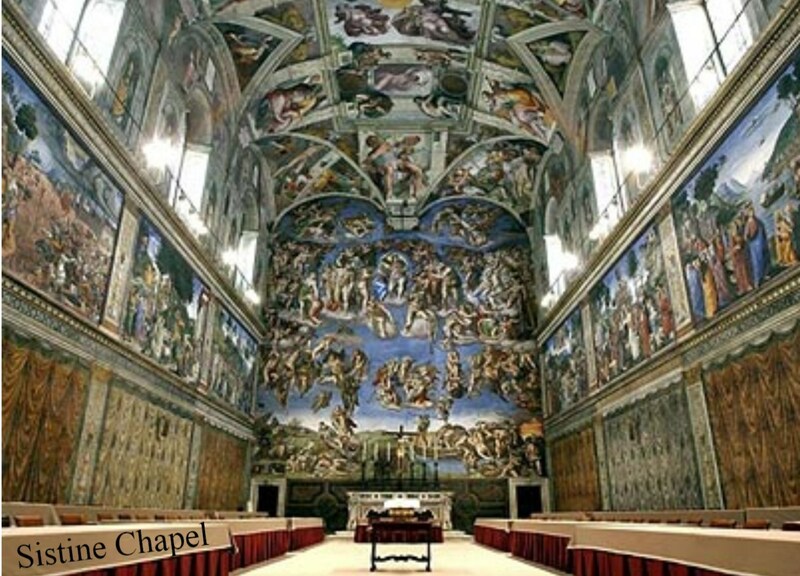 Then it’s a matter of apportioning your time discovering the treasurers of the square, the Basilica, the Sistine Chapel, and the Vatican Museum. Again, one might engage in a useful division of time here. Use one of your units (half a day) for the Bernini-designed St. Peter’s Square and the Basilica, capped with Michelangelo’s dome. 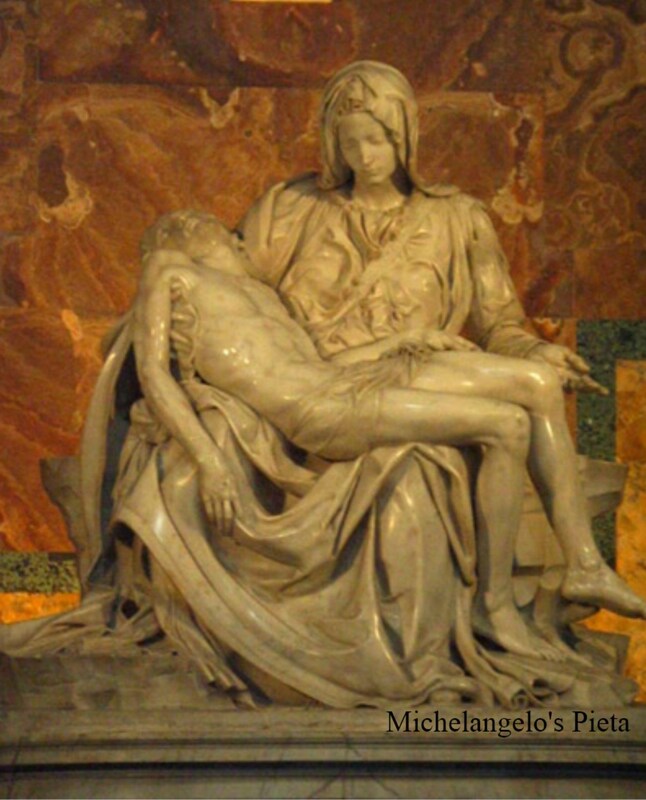 Directly inside the Basilica and to the right is the incomparable Michelangelo-sculpted Pieta, breathtaking in its majesty, its detail and its “anima” (soul). 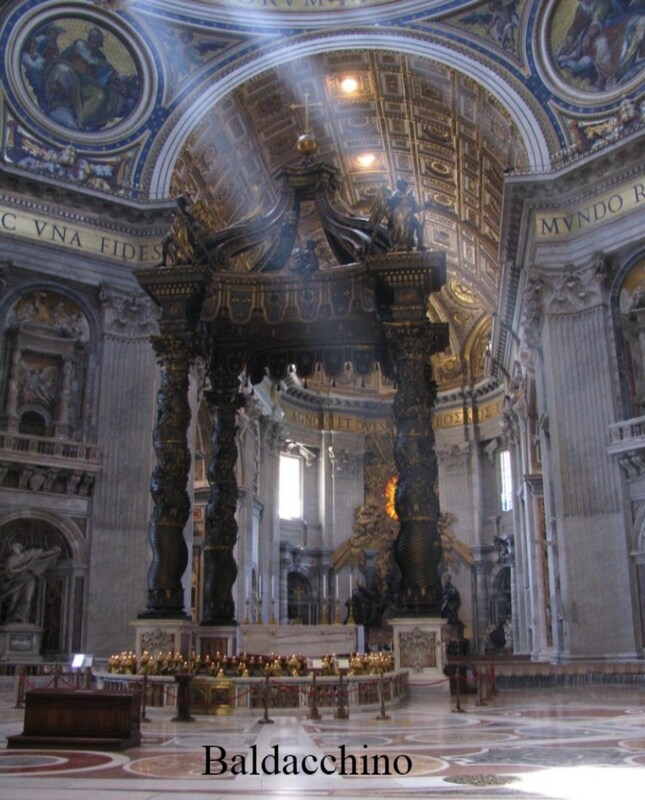 The list of noteworthy sights in the Basilica is far too extensive to serve our purposes here (get a guide book), but you won’t be able to resist the Baldacchino, the Bernini-designed bronze canopy which dominates the nave. 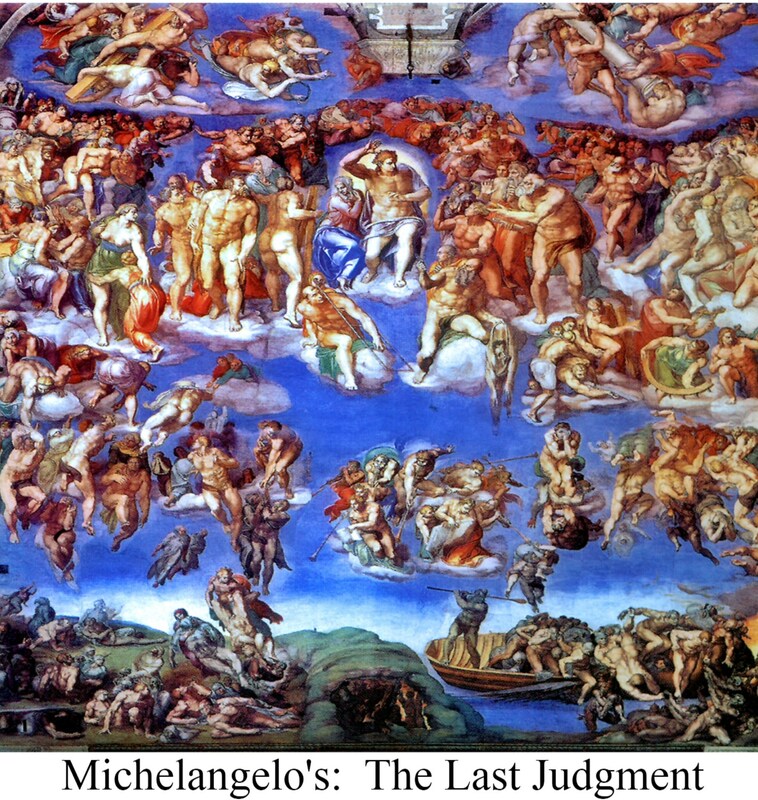 The other Vatican unit may be devoted to the Museum and the Sistine Chapel, adorned with paintings by Rafael, his master Perugino, Botticelli, Michelangelo’s Last Judgment and, of course, his incomparable ceiling. Far too often, tourists rush through the corridors and salons of the museum on the way to the most famous chapel in the world. Try to be patient and spend a little time amongst the real treasurers of the Christian world. You can’t be disappointed. DAY 2: In a half day, you can start at the Spanish Steps, visit the Keats-Shelly memorial, and walk to the Trevi Fountain then on to the Pantheon. On this walk, you’ll encounter modern Romans busy at work and play, you’ll smell the espresso and you’ll dodge the countless Vespas buzzing the city. You’ll take time to toss a coin in the famous fountain and you’ll pay your respect to Rafael at his tomb. 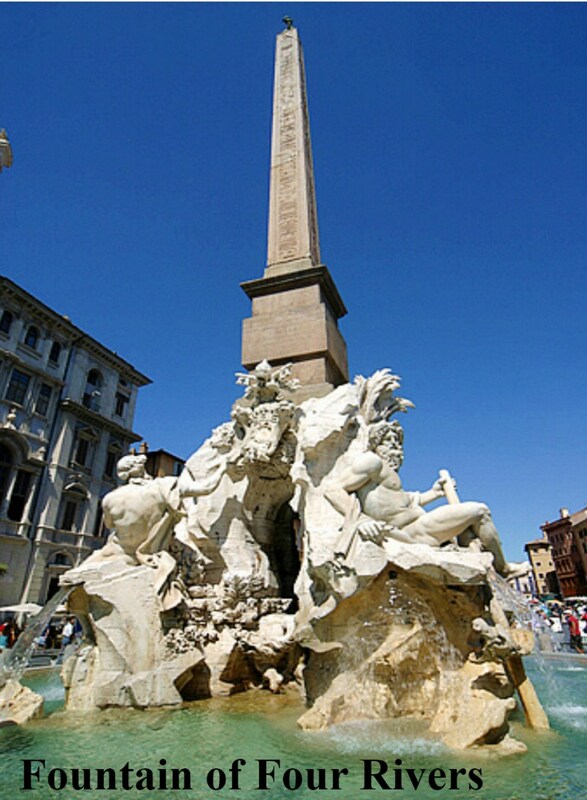 You can lunch at the nearby Piazza Navona, centered by Bernini’s Fountain of Four Rivers. It is possible to spend a half day in ancient Rome and feel that you’ve accomplished your sightseeing mission. 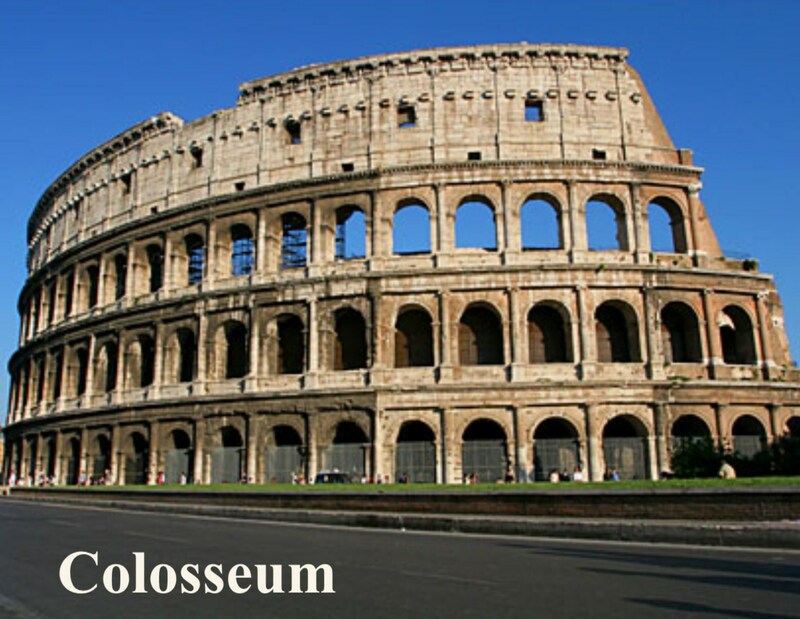 Start by climbing the various levels of the Colosseum, taking in its tortured place in history. 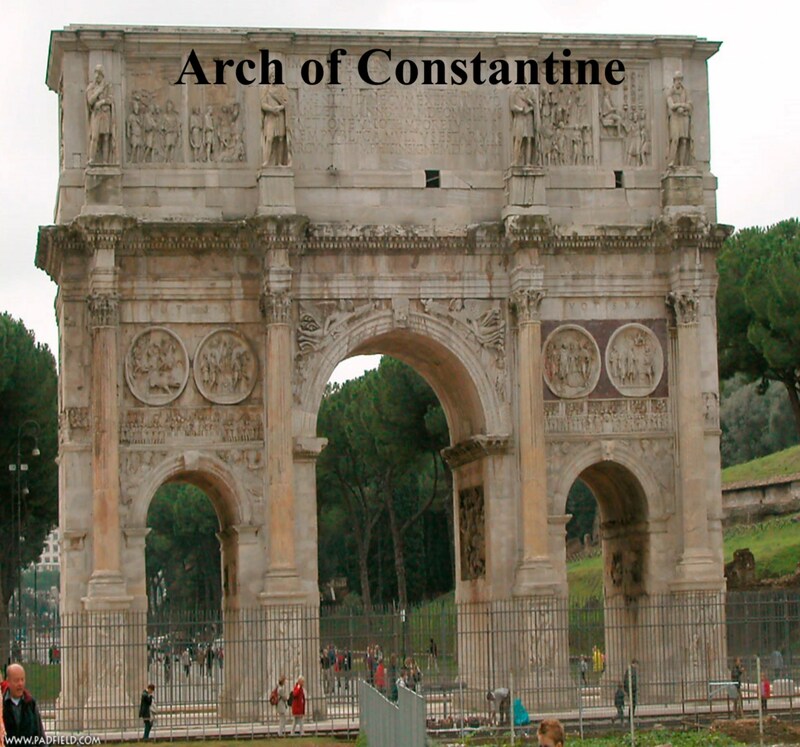 Then visit the Arch of Constantine before walking the Via Dei Fori Imperali to the ancient Roman Forums. Take the tour; you’ll get more out of your valuable time. You’ll walk the ground where Julius Caesar established his capital, you’ll visit the house of the Vestal Virgins, the Curia, where the Roman Senate ruled the empire and you’ll walk through a forests of fallen pillars, marble arches and the abandoned foundations of what was, 2,000 year ago, the center of the world. If you have any energy left, it’s a short walk to the Piazza Venezia and the monument to Vittorio Emanuele (the huge white marble alter dedicated to the first king of united Italy). 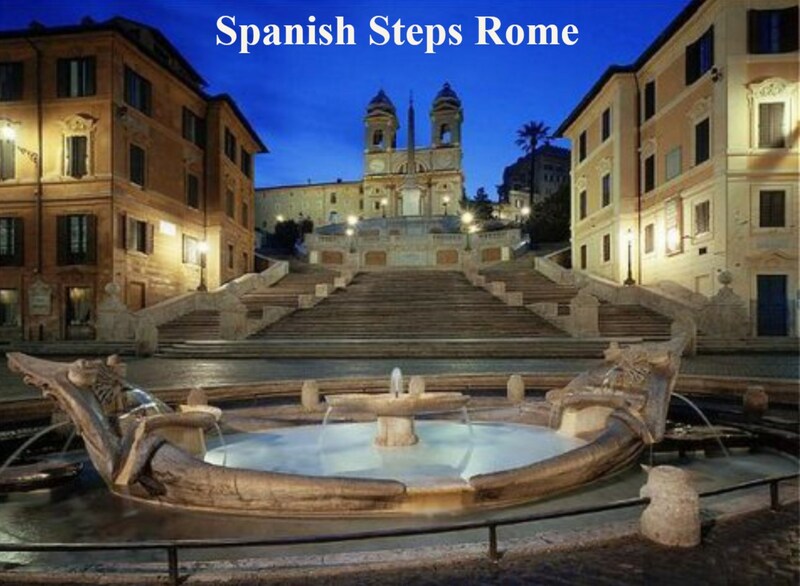 Around the corner, you can climb the steps to Michelangelo’s graceful piazza, the Campidoglio. Yes, you can explore the Colosseum to the Campidoglio in one afternoon, traversing the art and history of two millennia of Rome, from the birth of the Empire to the unification of modern Italy. You’ll be exhausted but sated. Of course, it would be better if you could afford more time. That’s the major sights of Rome in 48 hours. You can still find time for dinner at the Piazza Barbarini or the Via Venato, as Fedrico Fellini once did. Better still, you can find a family-run trattoria along the Tiber or hidden among the ancient narrow streets of Trastevere. There’s lots more to Rome. If you can afford more units, you may want to visit the: Campo dei Fiore, Villa Borghese (gardens) and the Borghese museum, the Appian Way, the Mouth of Truth, the ancient aqueducts, Circus Maximus, Baths of Caracalla, San Giovanni in Laterano (the Mother of all Churches), or Santa Maria della Vittoria. And there’s more. 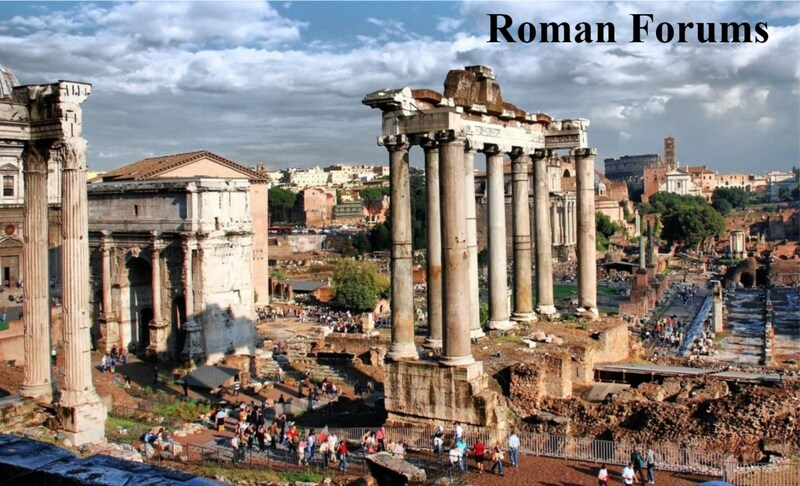 If you had two weeks, you could explore each of the Seven Hills of Rome and all their treasurers. But perhaps this will get you started on two days in Rome and going home with something to talk about and plenty of memories and photos.